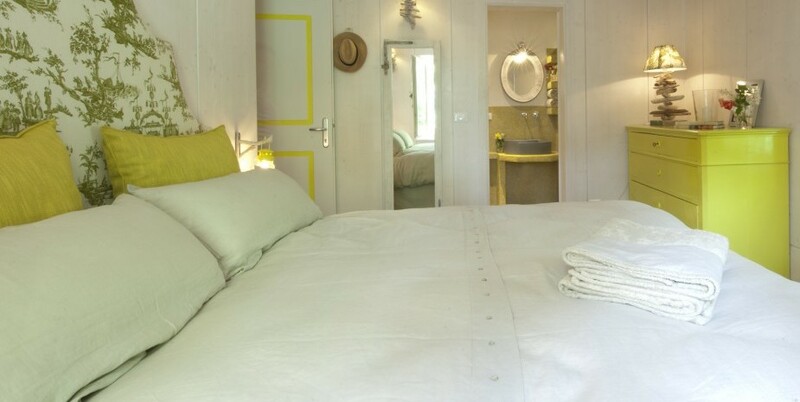 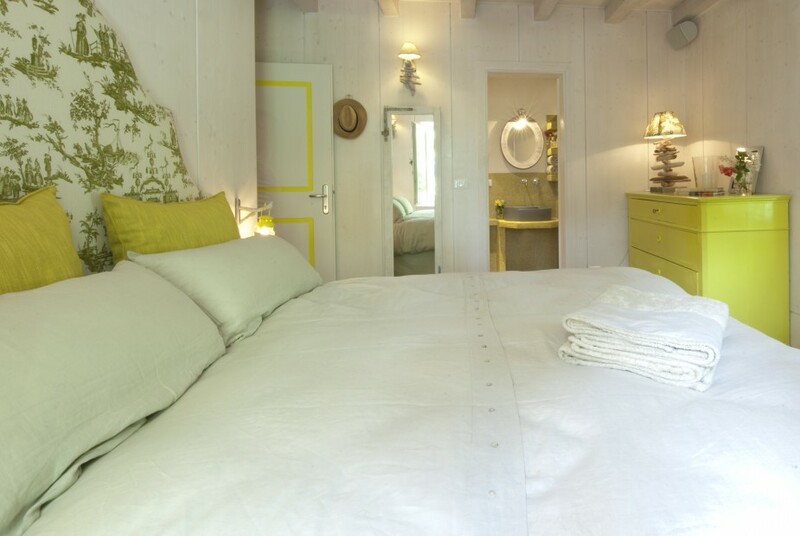 Yellow Room (“La Camera Gialla“) welcomes its guests to the intimacy of its fresh and comfortable atmosphere. 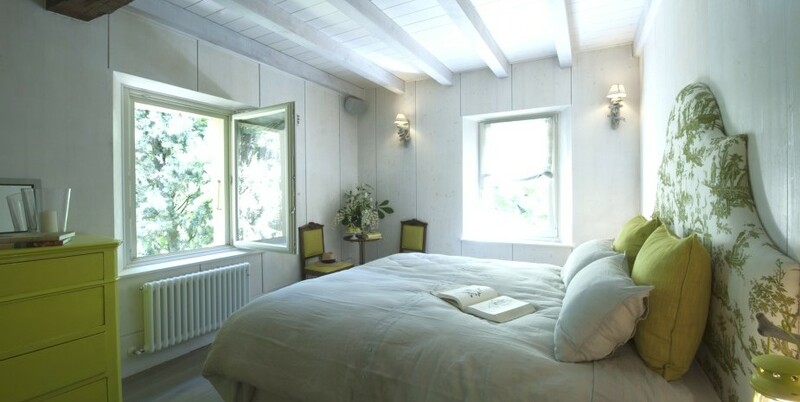 Two large windows open onto the garden, and the walls are covered in white wood. 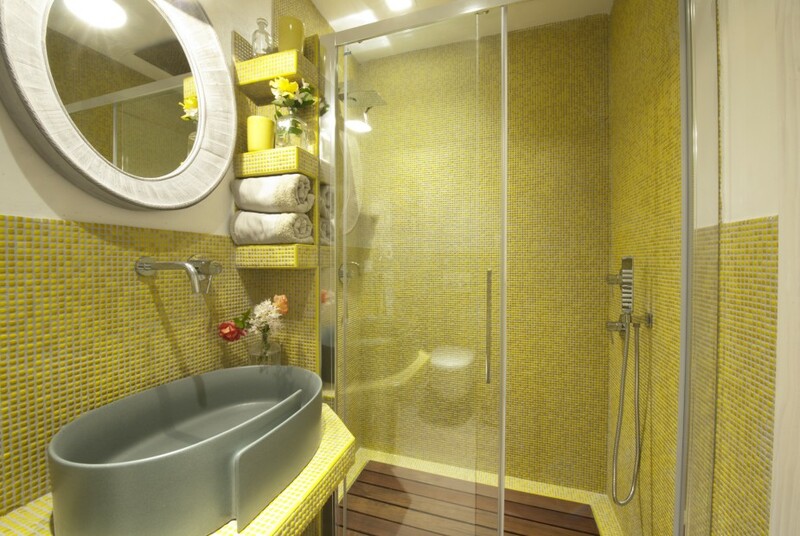 The room is filled with the subtle scents of Sicilian citrus fruits. 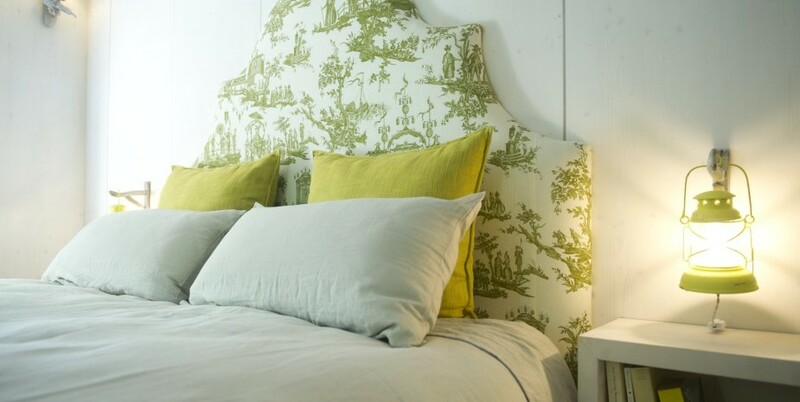 The comfortable bed lies at the centre of the room, and green Toile de Jouy motifs adorn its padded headboard. 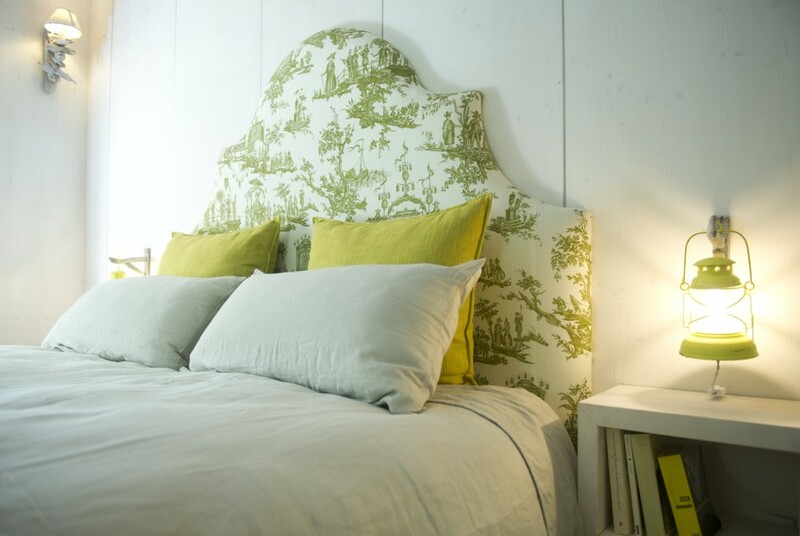 A lime-green antique chest of drawers rests against one of the walls, while an old window has been repurposed as a mirror on the other side. 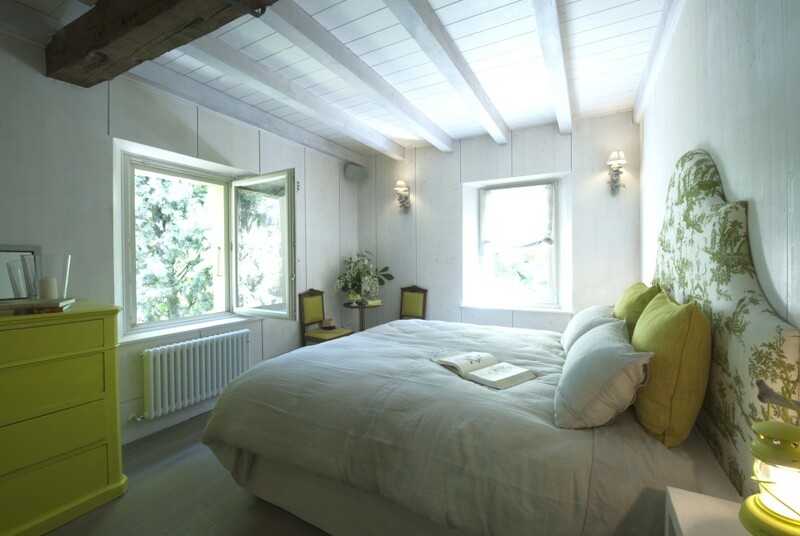 In the evening, soft lighting from the wall lights and lamps made with reclaimed driftwood bathes the room. 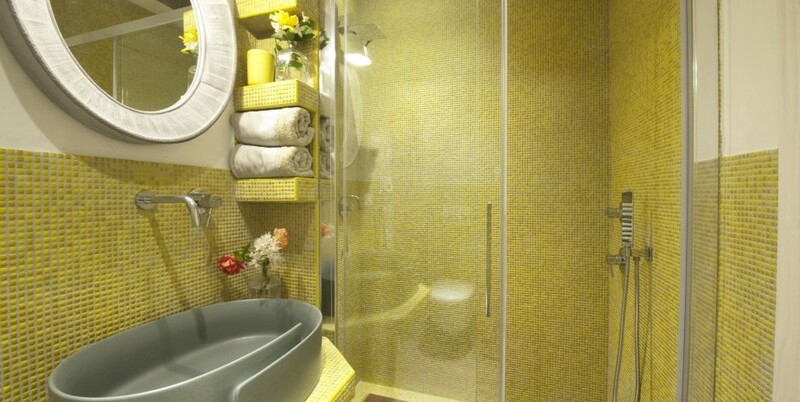 The bathroom, covered in yellow mosaic tiles, has a large shower with multiple water jets.